Did you know that infant massage improves circulation & immune function, can help your baby fall asleep faster, and stay asleep longer? Bambini Learning Group has invited Liane Wilson, the owner of Insight Wellness Inc., to provide a 1 hour, informational, hands-on, infant massage class. While this session is geared to infants, the techniques can be adapted for older children. 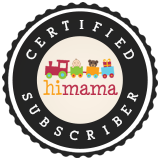 This class is great for expectant moms as well! Attendees should bring a doll no smaller than 12" long instead of children (unless you have a small infant under 12 months). This event is FREE OF CHARGE and is open to everyone. RSVP quickly though because spots are limited!